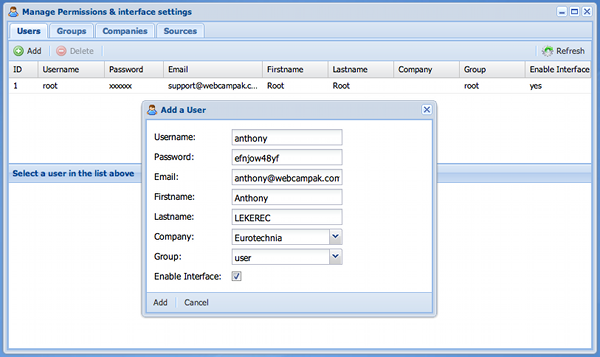 Once groups,companies and sources have been defined you can add new users within Webcampak. Click on "Add" to add a new user in the system. 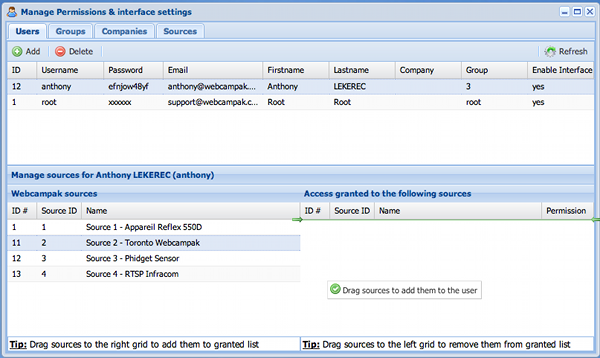 You will see an "Enable Interface" option, if this option is not selected user will not be granted access to Webcampak Interface. This is an easy and quick way to remove access for a particular user without deleting the user from the system. 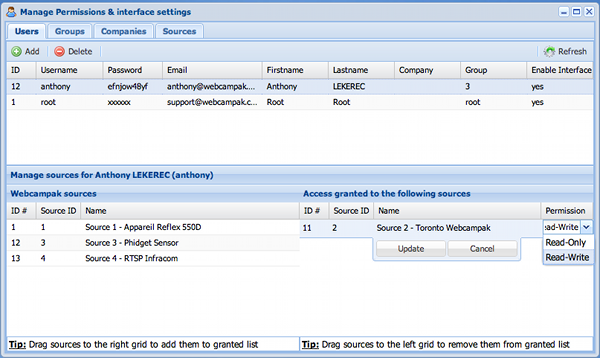 If you click on a user, you will be able to attach (and remove) sources and associated permissions. Once source have been added, you can edit permissions by double clicking on a granted source (choose between Read-Only and Read-Write).